Today I'm going to be linking up with Momfessionals for her Show and Tell Tuesday linkup. The topic for today is five people that I would invite to dinner. I've heard that question so many times in my life, and always have to come up with a list of people off the top of my head, but never really took time to sit down and think about it. Today that's all going to change! I love this post idea, and hope that you'll share who you would invite in the comments! Without further ado, here is my fantasy dinner party, along with a bonus of what food I would serve! Enjoy! Fashion consultant, TV personality, "the stylish one"
I've watched him on Project Runway, I've listened to his interviews, and I've come to the conclusion that Tim Gunn is the most polite person on earth. I just love listening to him talk! I feel like he would make me feel so great about myself and would compliment me to no end. I bet he would also bring me the cutest hostess gift, and would be able to give me some fashion advice! Current #1 tennis star, "the funny one"
Olympic track and field star, "the inspirational one"
You may have heard me mention Lopez in the past (here and here), and I honestly feel like his memoir changed my life. He is such a huge inspiration, and I couldn't pass up the opportunity to talk with him! He also seems like a funny and talkative guy, so I think he would fit in really well with this group! celebrity chef, "the hot one"
Since this is a dinner party with some pretty famous people, I'm assuming I would need help in the kitchen. Who better to help me than the good-looking Australian chef Curtis Stone! I love watching Curtis on Top Chef Masters, as well as multiple appearances on Biggest Loser. He seems like a charming guy who would teach me a skill or two in the kitchen! astrophysicist, cosmologist, author, "the smart one"
My final dinner guest is not one that I would pick for myself, but for Dan. I'm assuming that Dan will be at the dinner party (it would be kind of rude to have one and not invite him) so I saved one spot for his favorite peron. As long as I've known Dan, he has idolized Neil like crazy- going to see him speak, watching videos of his talks, and learning facts about him. I know I would win girlfriend of the year if I got to invite him to dinner, so I figured I would throw him in! Everyone loves a little cheese plate to start off with, so I would have some cheeses along with wine to pair with it, along with some other items like olives, crackers and dried apricots. The main meal would be this amazing dish. If you've never tried out, you're really missing out! The flavor of the sauce is incredibly rich, but simple to make. 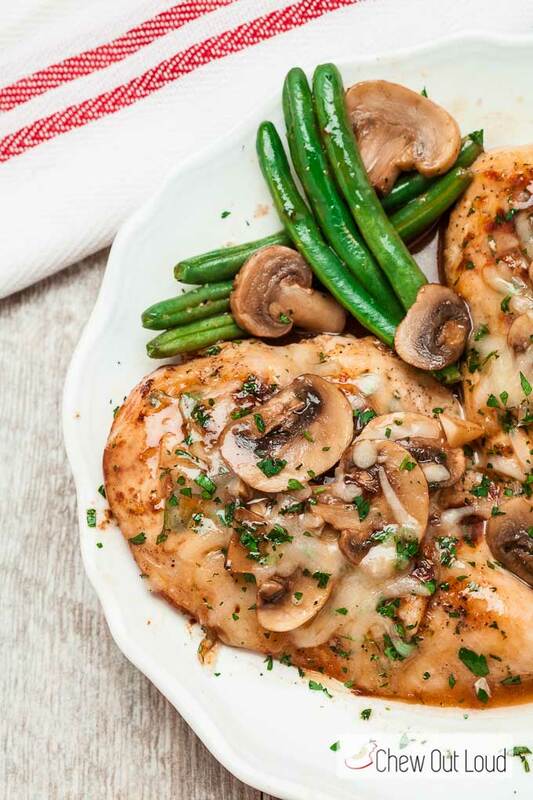 Chicken is always a safe bet, or it could be substituted for a portobella mushroom if you have vegetarian guests! The best part about this dish is that it has your vegetables (asparagus or haricot vert) and side (mashed potatoes) all in one. I would of course offer some other sides like a salad, but I love how many components this meal has! I had a similar cake months ago, and it's still the most decadent and delicious dessert I've ever had. Not only is it great because it's gluten free for Novak, but you only need a tiny serving to be satisfied. It's also the perfect base for endless toppings- from whipped cream to a berry compote. I have to try this recipe ASAP! There you have it- my ideal dinner party. Now tell me about yours! Who would you invite and what would be your meal? Love that you have a meal planned too! And Curtis would have so many good cooking tips!! What a fun idea! The appetizer and dessert are particularly drool worthy! Ok. I'm going to not use my brain on this. Channing Tatum because I would not need to make a dessert or appetizer. Shalane Flannigan because she is awesome. Bethenny Frankel because she just says whatever she wants and I like that, plus she would bring the drinks. My dad (if he was still here). The fifth guest would be a homeless person because I just want to help. That may sound corny but that is who I am. Great choices! And I love the idea of inviting a homeless person..that's a great quality to have to want to help others. I bet your dinner party would have the best food! Wow this is such a tough question - I really have to think about it!! That dessert looks incredible! Thanks Jamie! I would love to hear your answers once you think of some people!! What a party..from the guests to the food it would be a hit! This is such a fun post!! I'd have Ellen DeGeneres, Jimmy Fallon, Lauren Conrad...and....Federer :P hehehe. XOXO! Ooh!! Great choices! I'm not as familiar with the athletes as the others but I think that group would definitely make an interesting dinner party! I also LOVE your menu options! Every. single. one. YUM!! !